Karina's Kreations: Stampin'Up Sharing Sweet Thoughts! 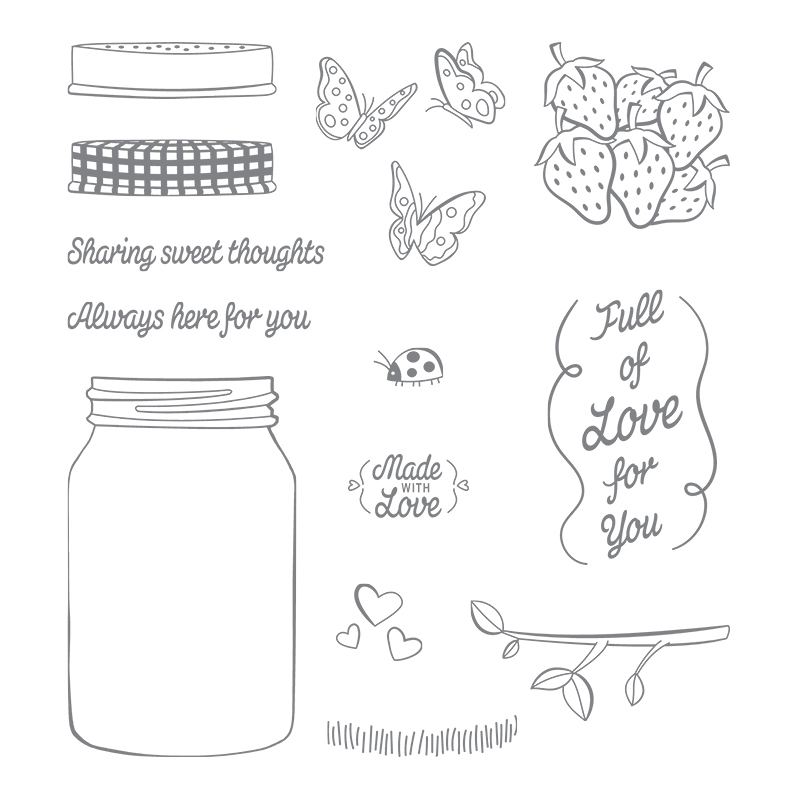 This cute card is made with the Sharing Sweet Thoughts stamp set #144051. With every purchase, Stampin'Up will donate $3 to Ronald McDonald house. The strawberries were stamped once and then covered with a mask I made from a post it note and stamped a second time. They were colored in with classic ink and an aquapainter. I love the Naturally Eclectic Designer Series Paper and Lemon Lime Twist 1/4" Ombre Ribbon. They are such cheerful colors. I'll be sending out instructions for this class with an online order.